Statistics show most of the top scoring whitetail bucks in North America are harvested in shotgun mandated areas. 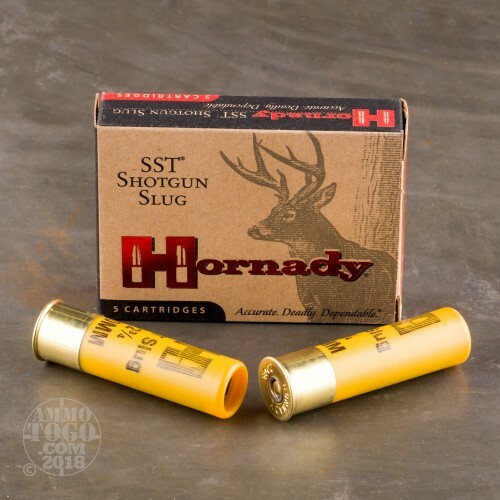 These SST Sabot Slugs allow you to bring Hornady’s famous pinpoint accuracy and unparalleled terminal performance to rifle-restricted, shotgun only areas. 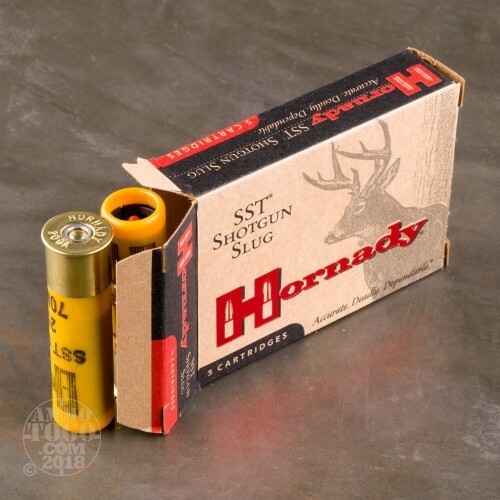 Consistent quality, accuracy, and performance are the hallmarks of Hornady ammunition, and this 20 gauge shotgun ammunition is no exception. This package contains 5 rounds of Hornady Shotgun ammunition. 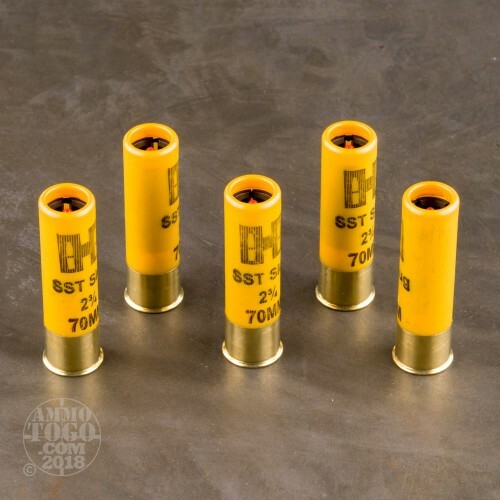 Designed for use in fully rifled barrels, each of these new production shells is loaded with a 250 Grain SST sabot slug. Featuring Hornday’s patented FTX Flex Tip technology, these innovative slugs fly faster and farther than any other slugs on the market and reliably initiate expansion at all velocities. Incredibly accurate, these high-performance slugs regularly produce sub 2-inch groups at 100 yards. With the flattest trajectories on the market, these slugs also produce massive terminal expansion and hard-hitting weight retention. 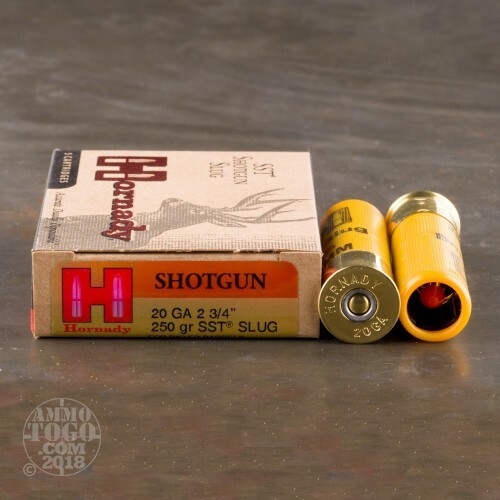 Each 2 ¾-inch shotgun shell produces an impressive muzzle velocity of 1800 feet per second and 1798 foot pounds of deer dropping muzzle energy.